A Nicaraguan comedian who insults Costa Ricans in online videos was barred on Thursday from entering Costa Rica for personal safety and public order reasons, officials said. Land and air border posts were alerted to stop Reynaldo Ruiz from crossing from Nicaragua, the Costa Rican Public Security Ministry said in a statement. Ruiz was meant to visit Costa Rica next week to put on a comedy performance with a partner, José Ramón Quintanilla, who was also barred. 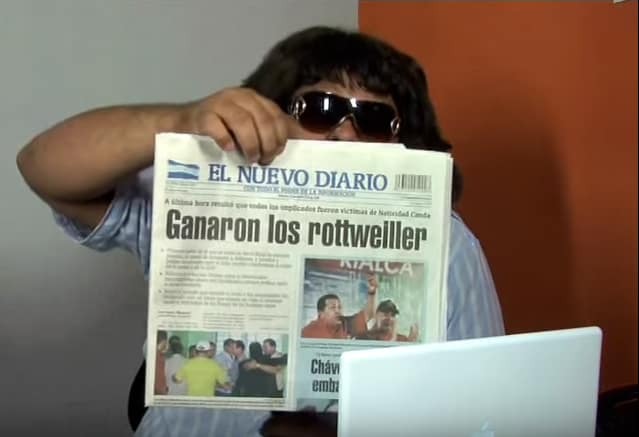 It said Costa Rica’s intelligence service had information showing Ruiz could be targeted by unidentified people because of the jokes he made in the online video. “I want to puke when I see a Costa Rican,” he says in the video, which inflamed Costa Ricans on social networks. Some 400,000 Nicaraguans live in Costa Rica, many of them in low-wage agricultural, security and domestic jobs. Diplomatic tensions are significant between the two neighboring countries, fueled by border disputes and opposing political stances.